TimeMaker is a company tool for communication, organization of production flows and planning. 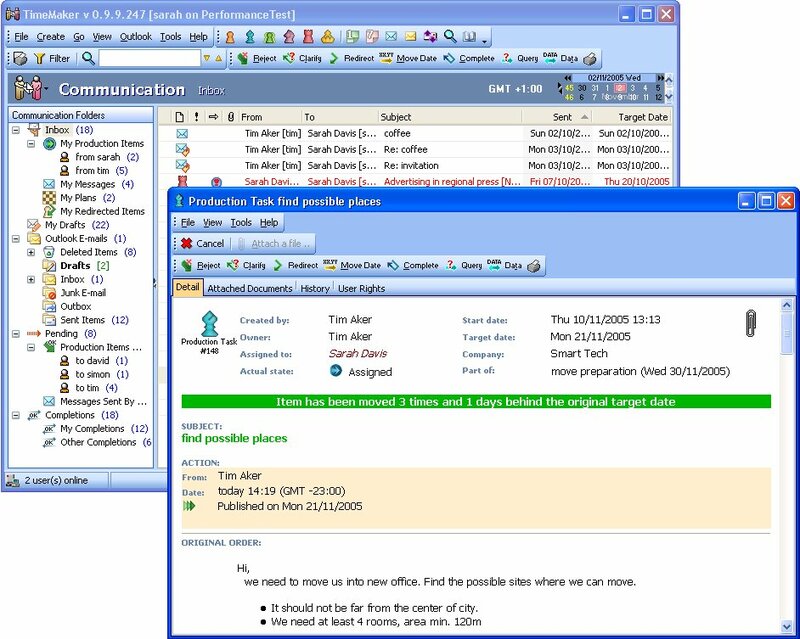 It includes e-mail, messages, chat, plans, meetings, calendar and others features. TimeMaker�s communication system is distinguished from old fashioned emailing and other outdated communication systems in that it gives the originator of a communication the ability to control the communication and obtain the desired result for each communication he or she originates.